Dawn of Winter, that wasn’t yesterday. It was actually back ten years ago when I reviewed their latest album and did an interview with the band, it seems as though they are releasing albums every ten years and perfecting their craft in the decade between the albums. 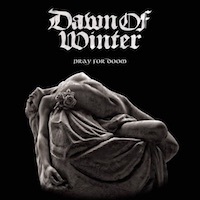 Since the latest album they have changed their label, to one that hates records it would seem, or maybe they just hate some records – it is a Swedish label and they claim that Dawn of winter have masterminded their magnum opus. You know, when labels or bands claim their magnum opus I tent to take that as a challenge, therefore: challenge accepted! After listening a few times it is quite clear that they make the same kind of music as they did last time I heard them. It is classic doom metal, I guess that’s good for some as the press material claim that doom metal is flat unsavoury nowadays and that Dawn of Winter stands as a beacon for classic doom metal. I guess they do that. And they make an album of eight tracks with a sensible playing time, so there is at least one thing in favour of the magnum opus theory – the shorter playing time. And while the dawn of this winter may have passed, you could still claim that this is a heavy, dark and wintery album. Winter cold doom with whiney vocals and heavy sound, dark like a night during a lunar eclipse. So for those praying for more doom from Dawn of Winter it is a pretty good choice and good album, but is it the answer to the prayers? 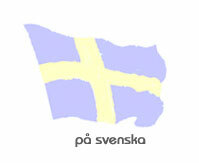 That is another question. There are very strong tracks like Father Winter and opener A Dream Within a Dream probably makes it somewhat better than the predecessor, so perhaps it is their magnum opus but not by any bigger margin. It is a very solid effort with good production and with familiar sound, if you like Dawn of Winter or doom metal it is certainly worth watching. Now then, the conclusion is that Dawn of Winter makes another very good doom metal album, nothing earth-shattering but good nonetheless. I am not sure about magnum opus, but I guess one could call it the soundtrack for the cold and dark nights of winter.